One of the signs that bearing failure may be imminent is the start of unusual vibration. Bearings help keep components like shafts and gears aligned. When components are rotating at high speed, the least little bit of misalignment or imbalance will manifest as vibration. In fact, some engineers use vibration analysis to investigate system imbalances. The same goes for your final drive motor: when a bearing begins to fail and parts are no longer in alignment and balanced, you’ll start to feel some new vibrations start in your machine. Don’t ignore new vibrations! Another sign of impending bearing failure is noise. 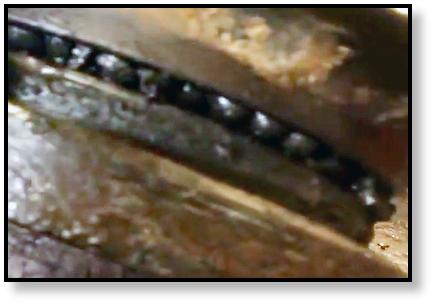 Misalignment and extremely high friction both result from a failing bearing. If they get bad enough, you end up with high friction metal-to-metal contact that can result in unusual noises. It could be grinding noises (which are never a good sign), knocking or clunking sounds, or high-pitched squeaking/squealing noises. Any time your final drive begins making new noises, it’s a good idea to get it checked out. When bearings begin to fail, there is going to be a significant increase in friction. Friction naturally generates heat. As heat increases, friction increases. And you can see that a devastating cycle of destruction begins to develop. If your final drive is hot to the touch or sizzles when it comes into contact with water, that is not normal. 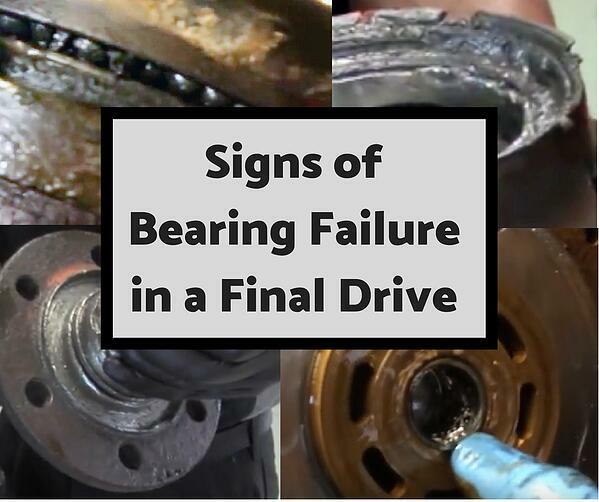 That can be a sign of bearing failure, and even if it isn’t your bearings, it is something serious. Always get overheating final drives checked out right away. Hopefully, you would notice something was wrong with your final drive before it reached the point that it simply wouldn’t turn anymore. 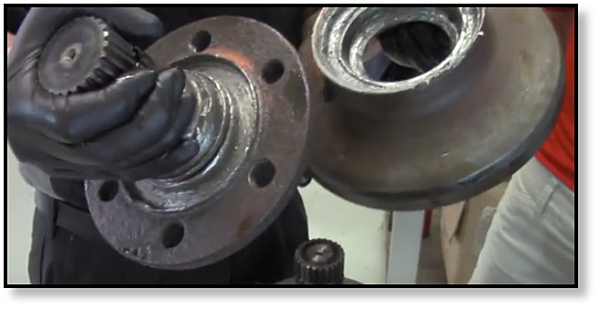 While there could be other causes behind a final drive seizing, bearings are a likely suspect. Bearings help rotating parts turn smoothly with little friction, and when bearings can’t do that anymore then your final drive components may simply lock up. If your final drive motor has the symptoms of a bearing gone bad, don’t ignore those symptoms! 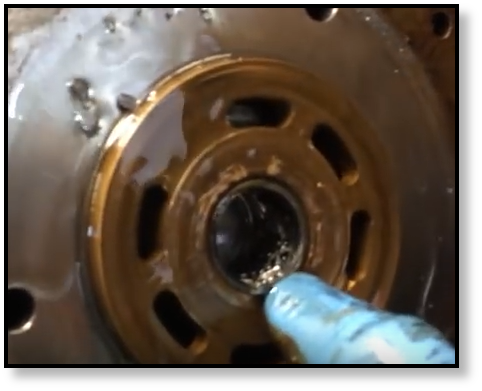 It is cheaper and faster to replace worn out bearings than it is to rebuild a final drive that was wiped out by a bad bearing -- if rebuilding is even possible. As you can see in the figure above, when a bearing goes out it can quickly take out other components with it. This final drive couldn’t be rebuilt or repaired -- it was totaled. So, if your final drive starts vibrating, making odd noises, overheating, simply stops turning, then you may have final drive bearing issue that needs immediate attention.